Magical 6 Bed Villa (2 Master Suites), 4 Bathrooms, Pool & Spa. WiFi. 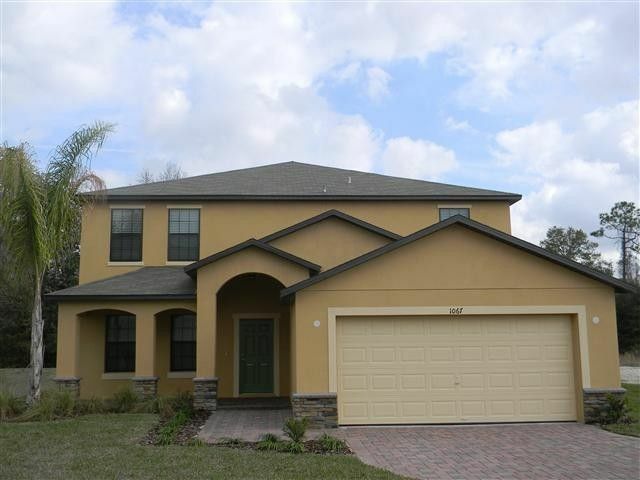 Fabulous views directly onto conservation area with wildlife pond - Near Disney. Our beautifully presented and equipped villa is situated within Cypress Pointe - an airy, gated development set within a breathtaking conservation area with plenty of foliage, water and wildlife around you. Disney is just a 12 minute ride away up the I-4, we think this is the perfect location to enjoy all that central Florida has on offer. Put some time aside to enjoy the villa in the daytime or evening - enjoy the heated and illuminated pool and spa or just gaze over the conservation area and wildlife pond from the porch, covered dining area or large sunny terrace. 3 further TVs, in bedrooms. * All five major broadcast networks (ABC, CBS, Fox, NBC, and CW). * 10 ‘cable’ channels including major sports channels. * Public access and educational channels such as PBS and C-SPAN. * Regional Digital subnets, such as MeTV and Bounce. Free unlimited High Speed (100 Mbps) WiFi access throughout the house and pool area. Front entrance porch with veranda. Ground floor - master bathroom suite. Shower, bath tub, twin sinks with full sized wall mirror, toilet. Upstairs - master bathroom. Shower, bath tub, twin sinks with full sized wall mirror. Private toilet room. Upstairs - family bathroom. Shower over bath tub, twin sinks with full sized wall mirror, toilet. Upstairs - Jack and Jill bathroom. Separate access from each of the two adjacent queen bedrooms. Shower over bath, sink unit with mirror, toilet. There is sufficient driveway parking for four cars. Previous guests often leave DVDs behind to add to the collection - please feel free to use them. Previous guests often leave books behind to add to the collection - please feel free to use them. Previous guests often leave games behind to add to the collection - please feel free to use them. Previous guests often leave videos behind to add to the collection - please feel free to use them. You are welcome to enjoy a smoke on the terrace and poolside. The Pool is professionally maintained and cleaned weekly. Pool heating is an option available on request (recommended Oct-Apr) at an additional charge. 4. The site did not specify paying for spa heat, when I called the realtor I was told spa and pool heat was $25/ day which would have been $175 for the 7 days. I asked wasn't the spa heat separately from the pool and was told , no! Why would you want the pool heated to the same temp as the spa, which are normally heated to 104 - 105 degrees (SMALL CHILDREN WOULD NOT HAVE BEEN ABLE TO USE POOL AT THOSE TEMPS). It didn't make since to me. We spent very little time in the house since we were playing golf. Correct these things and it would have been well worth 5 stars. Beautiful, cozy and roomy place! Loved the house and enjoyed the pool! Plenty of room and very clean! The house was very spacious and accommodating for everyone. There are two master bedrooms which made things easier. The villa was huge, plenty of room to chill out in and so nice to dunk in the pool and hot tub after an exhausting day at the parks. Great to have access to a washing machine aswell as all other household equipment. Everything you need just 5 mins away - supermarket, places to eat and much more. Owners are very accommodating and helped out immediately with our many questions. Thank you very much for your feedback, which although partly negative is still very much appreciated. I'm pleased to hear that our pool technician was able to fix the pool rapidly for you and that you were able to enjoy the fantastic jacuzzi spa "hot tub". This was only the second time in 7 years that we have had to withhold a small portion of a damage deposit - as you are aware, we refunded the remainder entirely and promptly. The deduction reflected the cost incurred to replace the heavily blood stained bedding, the professional shampooing and sanitisation of large areas of carpet which had been stained due to high volume spillages or vomit, repairs to a damaged refrigerator door and also to a lamp unit. There were no charges made for the overloaded garbage, but we did have to arrange a special collection for the surplus to be disposed of. We wrote to you itemising the charges and supplied supporting photographs and you did acknowledge receipt. Discover Cypress Pointe and this luxurious villa located just 8 miles from Disney World, Florida. A short drive from Orlando Airport and less than one hour from the Atlantic or Gulf coast beaches, this villa is perfectly placed to enjoy the very best of all that central Florida has on offer - from the frantic thrill of the major theme parks to the unhurried ambiance of coastal culture. Cypress Pointe is more than a gated community of unique villas, it is an extension of the members home. In addition to the nearby celebrated golf course at Reunion, there is an extensive conservation area with wildlife and ponds. The spacious and luxuriously equipped 6 bed, 4 bath villa with private pool and spa, sits seamlessly onto the conservation area and pond with fabulous views over the tree filled back drop. Truly, a setting of natural peace for yourself, family and friends. Your rental is charged at the rate of £115 per night plus a 'one off' cleaning fee of £115 per stay, (£230 for the first night and £115 per night thereafter). Rates include US Federal & Florida State Taxes (12%). Pool heating is an option available on request (recommended Oct-Apr) at an additional charge of £20 per day.